Cavaliers Head Coach Steve Garland had an incredible run to the NCAA Finals, as an eighth seed, during his senior season in 2000. 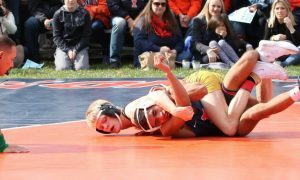 The highlight of his tournament came in the quarterfinals when he upset top-seeded Jody Strittmatter (Iowa) 9-7 in sudden victory. Garland also needed extra time to earn his spot in the finals when he took out upstart TJ Hill (CSU Fullerton) 6-5 in the tiebreaker. 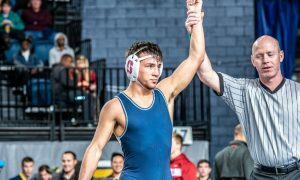 After one match shy of All-American honors three times, George DiCamillo didn’t bother with the Round of 12 in 2017. 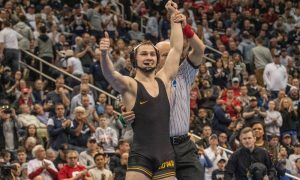 DiCamillo was victorious in the NCAA quarters, then won a 10-7 shootout with the returning NCAA runner-up Bryce Meredith (Wyoming) to make the finals. Coincidentally, that season was the only year in which he did not win an ACC title. Though he only competed for one year at UVA, what a year it was! Scott went 51-1 with 34 pins. His win and pin totals are a single-season record for the Cavaliers He actually ranks second on the all-time fall list, just based on his 2003-04 season alone. When he finished competing, the record actually belonged to Scott. Three of Moore’s 34 pins came at the 2004 NCAA Championships on his way to earning third-place. Derek Valenti accumulated 95 wins over his four years in the lineup for the Cavaliers. That total is good for 12th on the school’s all-time list. 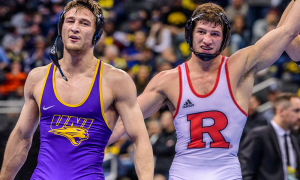 The New Jersey native got onto the podium in Philadelphia at the 2011 NCAA Championships after topping Eric Grajales (Michigan) 9-7 in the Round of 12. As a freshman, Jedd Moore qualified for the NCAA Championships and went 1-2 at the event. 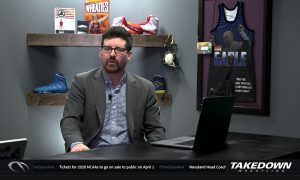 It would be three years before Moore would get back to nationals after a year wiped out by injury and another spent at 165 lbs. Jedd made the most of his last chance getting sixth-place at the 2013 NCAA Championship. In the Round of 12, he defeated conference-foe Jesse Dong (Virginia Tech), for the first and only time. 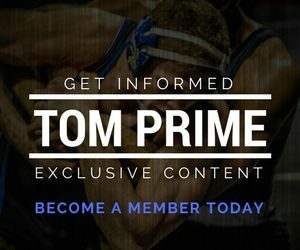 At the same tournament, he also pinned fourth-seeded James Green (Nebraska) and shutout fifth-seeded James Fleming (Clarion). 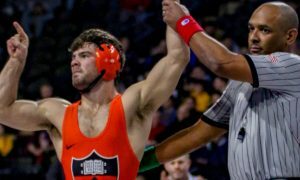 Nick Sulzer was one the biggest recruits signed by UVA during Steve Garland’s tenure and lived up to his billing with three All-American finishes. 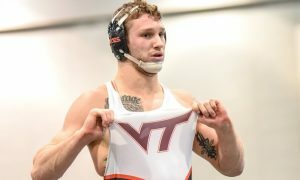 In both his junior and senior seasons, Nick won a championship at the Cliff Keen Las Vegas Invitational, becoming the first Virginia wrestler to win the event. He was also selected to wrestle in the NWCA All-Star meet in 2014-15. When he became an All-American in 2011, Chris Henrich became the first Cavalier wrestler to AA three times in their career. Henrich’s 136 wins are an all-time record for the school, and his .866 winning percentage (136-21) is the highest of any Virginia wrestler with more than 60 career matches. In each of his final two seasons, he advanced to the semifinals of the NCAA Championships. 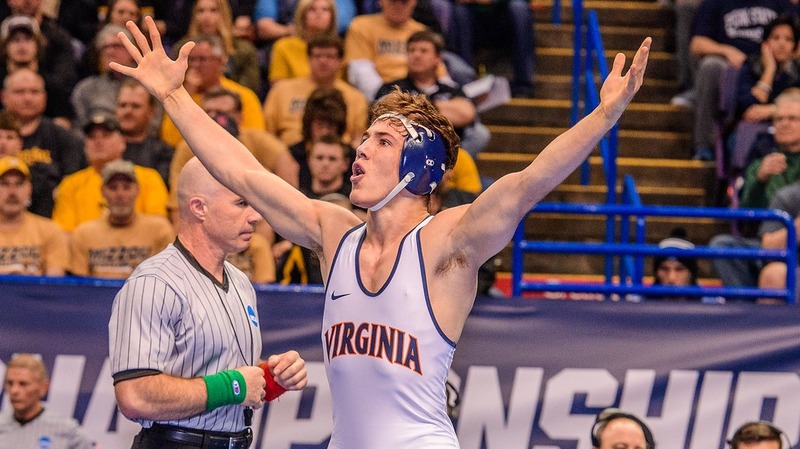 Rocco Caponi was one of only four wrestlers in UVA history to qualify for the NCAA Championships in all four seasons. He captured ACC titles in each of his last three years. Caponi was twice seeded at nationals, 12th in 2007 and 11th in 2008. 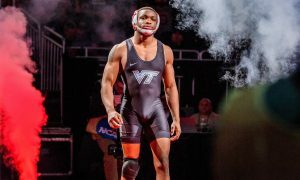 With his headlocks and an array of upper body throws, Brent Jones was about as exciting as any wrestler on this list to watch, save for Scott Moore. Jones eclipsed Moore’s career fall record by putting up 45 of his own. None may be more exciting than in the 2009 ACC Finals when Brent headlocked and pinned All-American Hudson Taylor (Maryland) in 38 seconds. 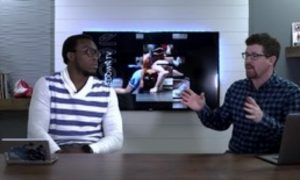 At the 2010 NCAA Championships, Jones received the Gorrarian Award (most fall in the least time) after pinning two opponents in 1:33 combined. Jack Danilkowicz qualified for the NCAA Championships in his final two seasons in Charlottesville. 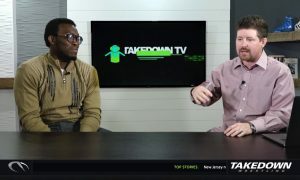 He was able to pick up a win at the 2010 NCAA Tournament, after finishing third at the ACC’s and posting a 19-14 record.